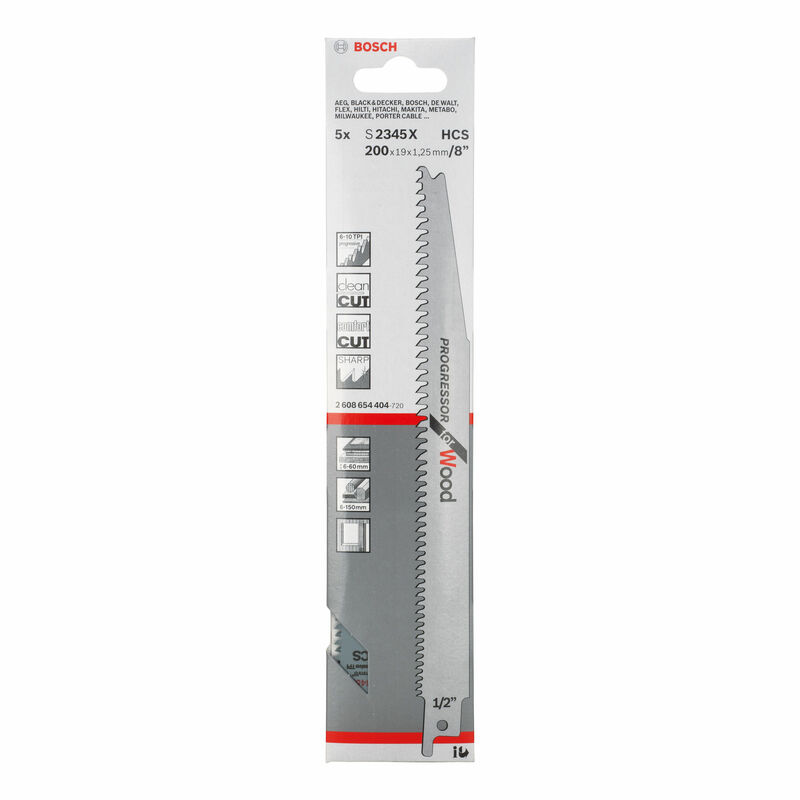 Bosch Sabre Saw Blades. Progressor for Wood. Universal use including plywood and plastic, gives an effortless fine cut.